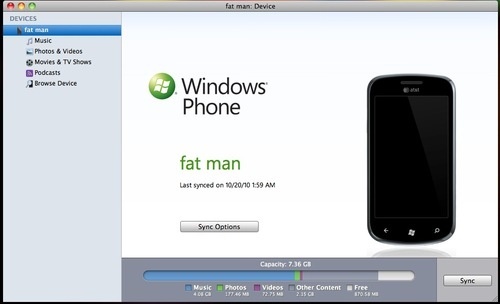 Mac users that for some reason are planning on going with a Windows Phone 7 powered device over an iPhone will be happy to know Windows Phone 7 Connector for Mac is now available as a public beta. While it might not be much use to you now, once you get your hands on a WP7 device, the software will provide you with all of the expected media syncing capabilities. As of yet the software lacks any Zune features, which isn’t surprising considering Microsoft has never released a full-fledged Zune client for Mac OS X. You can grab the Windows Phone 7 Connector for Mac software through the Microsoft Download Center, here.